Brilliant timing Kirkwallian. My 7 year old grandson, who has always had a great interest in all things marine has of very recent developed a keen interest in Lifeboats. The conversation got around to the loss of the Longhope Lifeboat (his mother covered the subject for her Feraday Project at KGS) so I took him to the scene of the Irene grounding but there is so little left of the ship that it was very difficult for our peeedie boy to understand. I will use this photo to try and make things clearer for him. Dear Kirkwallian, we would like to include this photo in a display on stage at our folk club next month, for a performance of a song about the Longhope lifeboat. Our folk club is non-commercial, and aims to support live folk music in our community and help connect people around it. We want to illustrate the song on stage with a sequence of photos, and also to produce a hand-out with information and photos around the lifeboats on Longhope. 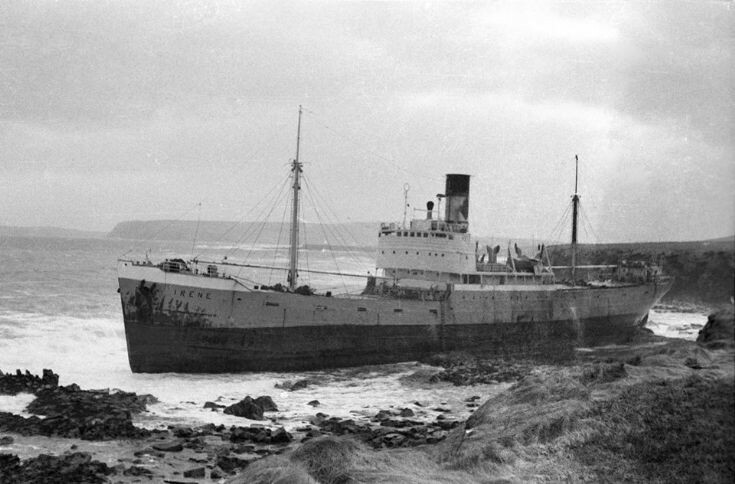 Would you be able to consider giving us permission to include this photo of the Irene?